What is this place? The place to discuss mechanical keyboards, of course! Have any questions on different types of switches, keyboards etc or just want to share your own- the place is here. I’ll start of with my current collection of sorts. My cheap, nice little Redgragon with Gateron Blues. Great for gaming, only minor issue i have is the caps lock is easy to accidentally press lol. 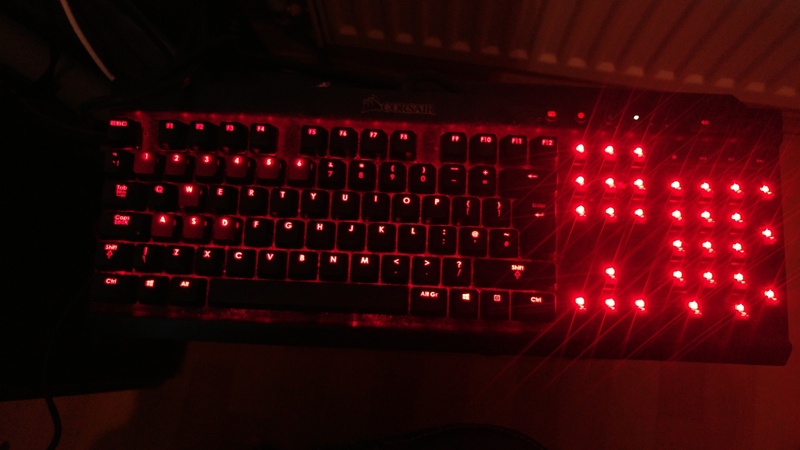 Also has red LEDs which can be useful. Is also incredibly loud, and about 5g heavier than MX blues are on the switch actuation. Really nice switches, the original MX blacks from the early 90s.Had to mod it with a Teensy to get it to work on USB but is still quite nice. My tiny travel and limited space keyboard, that has Cherry ML switches (not unlike MX browns, but low profile). epic switches+keyboard, the thing weighs 10 lbs or so lol. By far the best clicky keyboard i have ever used, not sure if i like it or the linear MX Blacks of the above WYSE keyboard more. 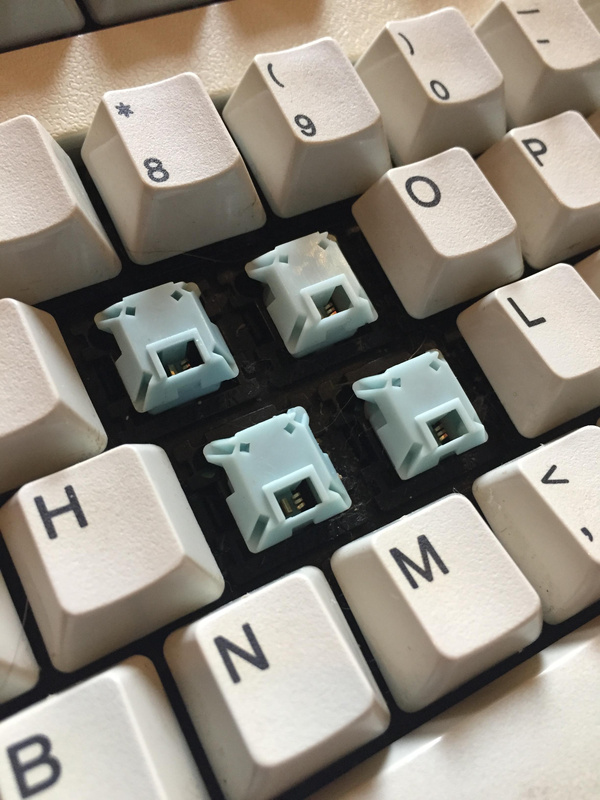 So what mechanical keyboards do you have? What switches do you like, not like, etc.? 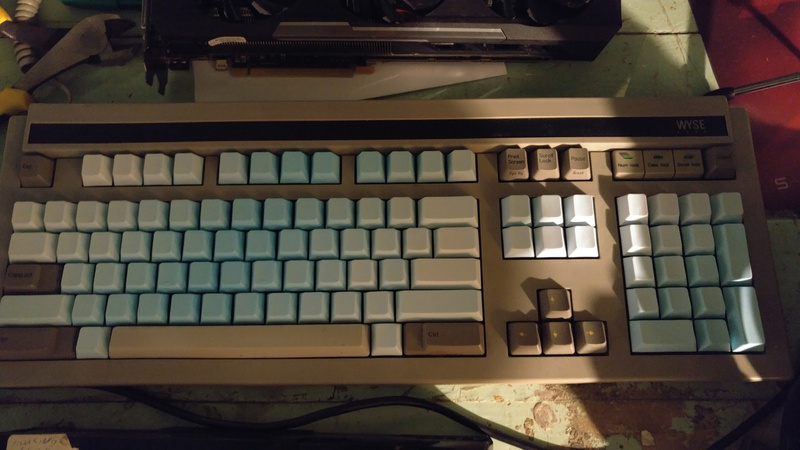 Have any cool project, or anything else, if so link/talk about them- and if you have any questions about mechanical keyboards or want to show yours off go ahead and do that as well. 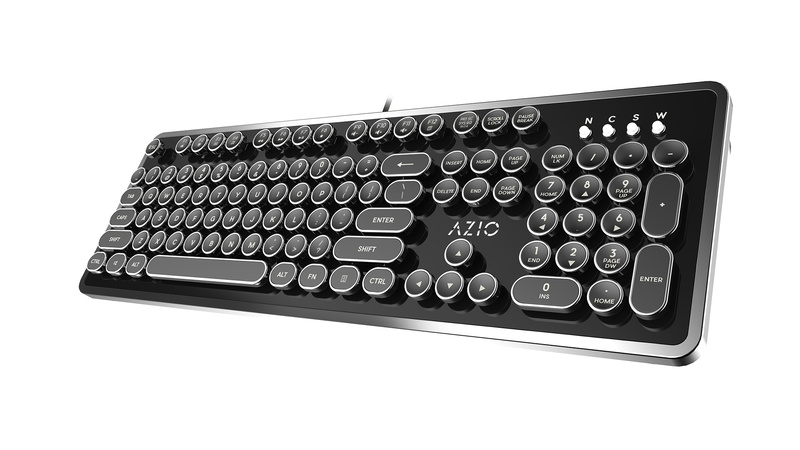 Azio MK retro. As you can see it’s a typewriter inspired design, however, the keycaps are quite nice to type on after you get used to them. “blue” switches so it has a great feel to go along with that typewriter theme. Also comes with this foam wrist-rest which does a fantastic job. I plan on getting a cheap board for work, not sold on one yet. 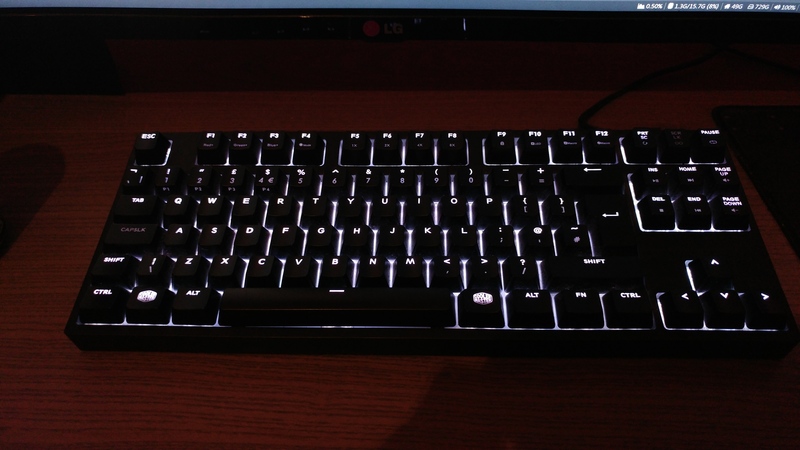 Currently using the Masterkeys Pro S. It is very nice to type on with Cherry MX brown switches and is weighty for its size. it also has a detachable cable which comes in handy and all the RGB which I mostly never use. Also have my brothers old K70 laying around doing nothing. May use it for something but I don’t know yet. Probably gaming as it has Cherry MX reds. I kinda bought this because for $38 I couldnt resist a battleship. I am not sure if it will have Space Invader switches or if it will just have dome with sliders but either way I’m not upset for the price. Will have to find out when it arrives in a week or two. The mod zoo crew (MN PC Tech and some others) talking about mechanical keyboards and other topics. 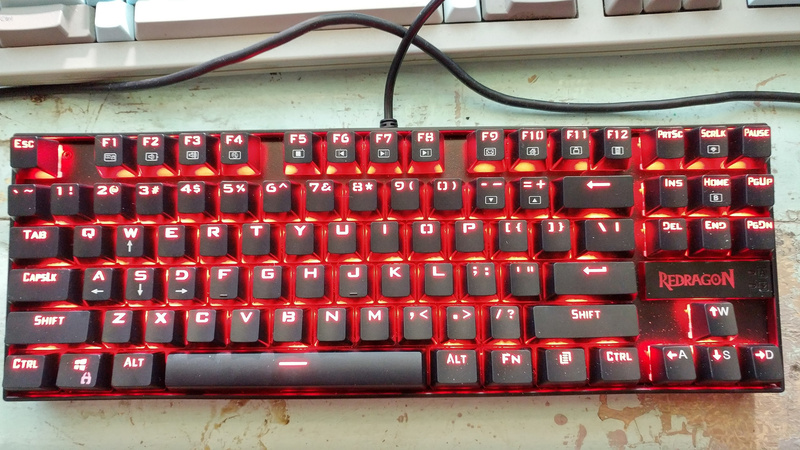 Just got a Space Invader switch keyboard. Because for $40 why not lol. It will show up in a few weeks. 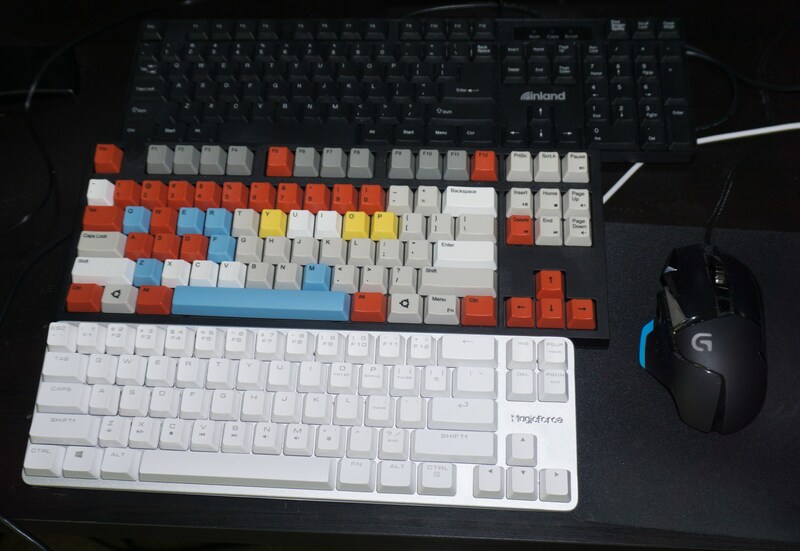 I currently have two Model M keyboards, one I use for my main machine, the other I use for work. sure do love me some Model M action. I had an opportunity to get an Industrial Model M for $125 on eBay. I should have taken it while I had the chance. sigh… maybe there’ll be a next time. This showed up and its quite nice. Probably the best rubber dome keyboard ive tried, and it has some kind of dome with slider that are unique to this board afaik. All 34 Function keys lol. I’m sorry, I can’t hear you over the sound of how awesome this keyboard is! Depends on the parents. I used mine at work for two years and nobody really complained. Because it makes two clicks per keystroke, it makes people think you can type twice as fast as you actually are. And… I’m now looking at Model M keyboards on ebay. They are magnificent creatures… I’m just trying to figure out if I can adapt one for use on a laptop because these suckers draw a LOT of power for a keyboard, we’re talking an entire amp at 5v. Just get a terminal model M (battleship) and convert it. They are $30-50 usually. And then just needs some soldering and coding lol. That being said I’m never going to get a model M or use one again. 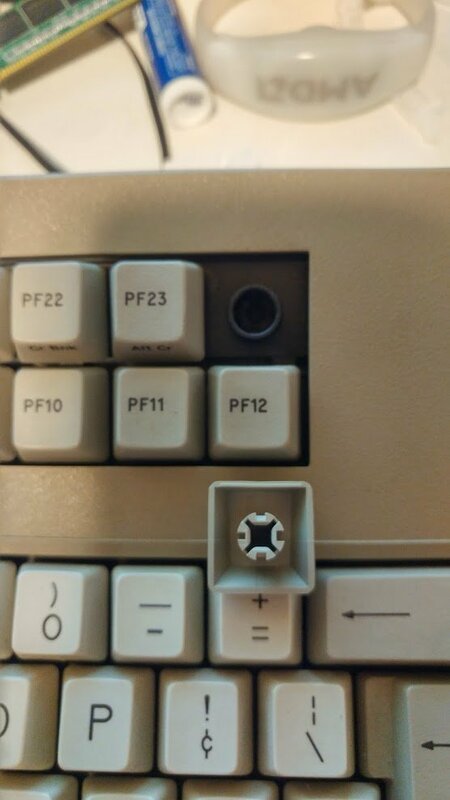 Because the model F is just that much better. Just get a terminal model M (battleship) and convert it. Found this on ebay for £45 which doesn’t look too bad. 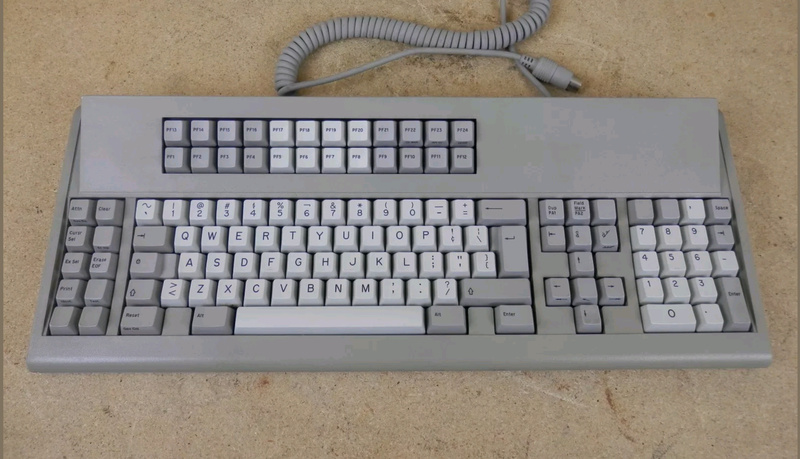 Also standard model M for £100 which is the cheapest I could find with the UK keymap. 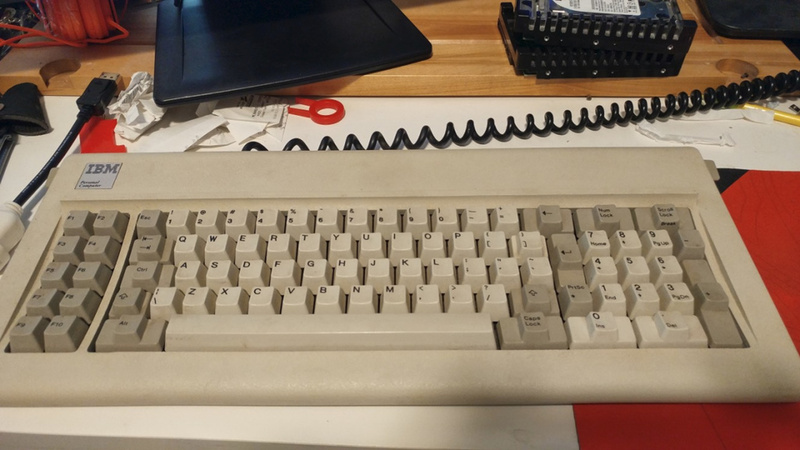 IBM Model M 1391406 UK Mechanical Keyboard with cable | Computers/Tablets & Networking, Vintage Computing, Vintage Parts & Accessories | eBay! Yep. And the bonus of using Soarers Converter is that you can fairly easily remap any of the keys so all the extra function keys and such can be whatever you like. One of the reasons I really like those 1394324s. Perhaps I should look at one of those. If you can find the model F variant, your fingers will love you for it but your wallet will cry in agony rofl. 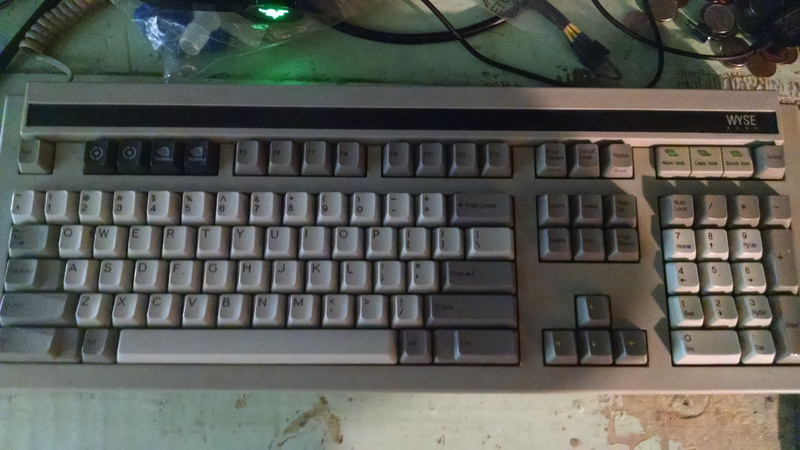 Meanwhile the Model F XT I have is around $80-100 usually. But its XT, if you don’t like that layout… It is a bit strange lol. Took me a while to get used to but I like it now, having ctrl where caps lock usually is is epic. Even though the inland is rubber dome, it’s pretty decent to type and game with.